I’m SOOOO excited to share this senior session with you. This girl totally rocked her session! It was one of those sessions where I couldn’t wait to get home and start editing because I knew we had some really amazing portraits. As a Quad Cities Senior Photographer, I’ve had the amazing opportunity to photograph high school seniors from several different schools. One thing always remains consistent with these sessions…the girls always tell me they aren’t good at posing and don’t know what to do. Well let me tell you girls, you do know what you’re doing, and you’re amazing in front of the camera! With a little bit of guidance in posing and a few tweaks to the pose, we can capture some really amazing shots without making you feel awkward or uncomfortable. Senior sessions are one of my favorites as we have all the trendy styles of outfits, great hair, and awesome makeup packed into one session with several different looks and locations. I love to help seniors by providing guidance on their outfit choices and the locations that reflect who they are. I also love to help them with posing so they feel comfortable and confident in front of the camera. Most seniors think they need to go to several different locations to get a wide variety of looks in their images. I have found some really great spots around the Quad Cities that offers tons of variety all within one location that’s all within walking distance. It’s also helpful to shoot at different angles. It’s amazing how just adjusting angles can completely transform an image into something totally different while the senior is in the same spot. Just these two things alone allows us to get way more shooting time in. With all that being said, please take a look at some of my favorites from this senior session. This girl was a total rock star for her session. Everything from her outfit choices to her hair and makeup was right on point for a very polished and flattering look. She is absolutely a stunning person on the inside and outside, and I really enjoyed the opportunity to work with her. I wish this young lady the very best in her very bright future, and thanks so much for selecting Amanda Oakes Photography to capture this amazing time for you! Best Wishes! If you’re interested in finding out more about a senior session, please click here. 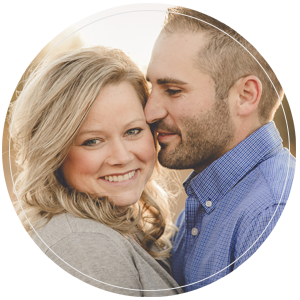 Amanda Oakes Photography is a Quad Cities senior photographer, who also specializes in newborn and family photography, children photography, engagement and wedding photography, and maternity photography. This includes photography services in the Moline, IL, Rock Island, IL, Davenport, IA, Bettendorf, IA, Muscatine, IA and the greater Quad Cities area.